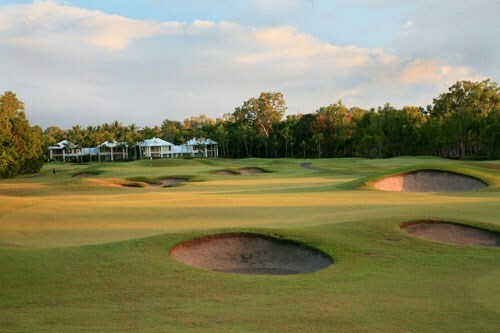 Tropical North Queensland is blessed with a wonderful golf climate when the rest of Australia is shivering and boasts a number of top courses including Paradise Palms, Palmer Sea Reef and other local courses. 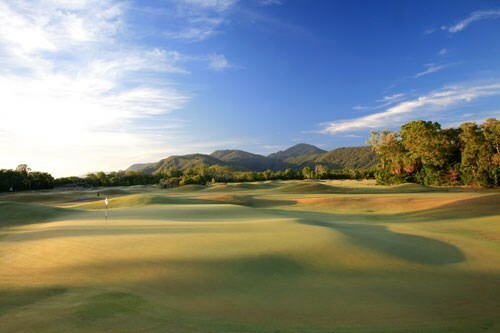 A tight par 70 all-weather-course overlooking the Coral Sea, Half Moon Bay Golf Club features sweeping views looking west to the rainforest clad mountain ranges behind Cairns. Supporting a myriad of birdlife, the course features undulating fairways and beautiful greens that will test any level of golfer. 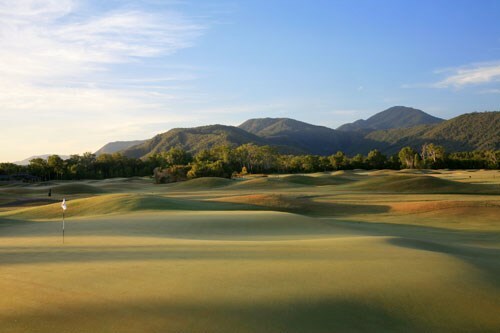 A tight par 70 all-weather-course overlooking the Coral Sea, Half Moon Bay Golf Club features sweeping views looking west to the rainforest clad mountain ranges behind Cairns. 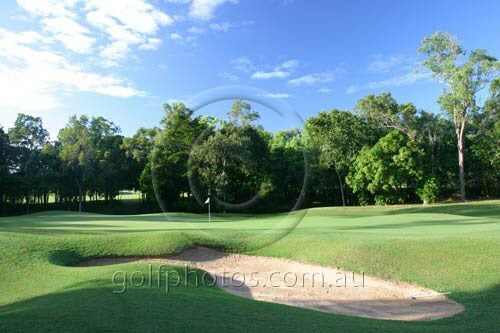 An easy 20 minute drive from the Cairns CBD to the south, or Palm Cove to the north, with a backdrop of the lush rainforest and fairways just 20 metres from the Coral Sea, this beautiful course is what golf in the tropical north is all about. Supporting a myriad of birdlife, the course features undulating fairways and beautiful greens that will test any level of golfer. 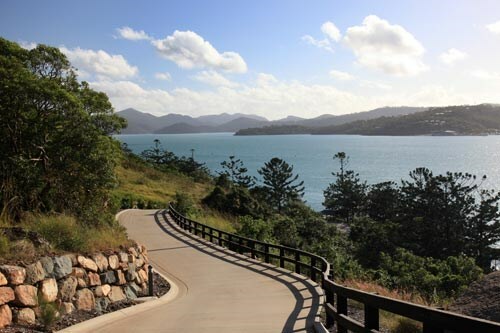 Perfectly located at the edge of the Great Barrier Reef, the Hamilton Island Golf Club has some of the most spectacular views and settings of any golf course in the world. 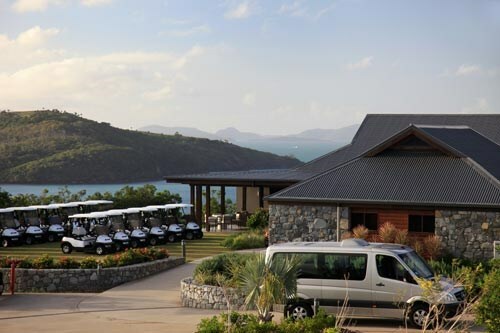 Designed by champion golfer, Peter Thomson of Thomson Perrett, the Hamilton Island Golf Club on neighbouring Dent Island is the only championship island golf course in Australia. The first hole is a medium length par 4 set at the foot of the highest peak on Dent Island. The stunning backdrop sets the scene for a journey that will be an unforgettable round of golf. The tee shot should be played short and left of the right-hand side fairway bunkers located 210m from the back tee. For the longer hitters, a carry of 230m over the left edge of the left-hand bunker should be the chosen line, as anything right will catch a steep swale off to the right rough. The approach shot is played to a large elevated green which slopes from back to front with two deep bunkers which should be avoided on the right. The first of many spectacular views are to be gained from the tees on this medium length downhill par 4. The elevated tee shot is played to a generous landing area from where only a short to medium iron is required to the green. The slightly elevated green sits in a saddle, making any shot played long over the back a certain lost ball. A relatively easy hole, a par here should get the round off to a good start. The shortest par 4 on the course, straight away this hole looks relatively benign off the tee. However any shot going right will find thick rough, so a tee shot played short and left will give the best line into this green. The green sits high above the fairway, making distance control a key factor in getting the shot close. Apart from the two bunkers front right of the green, there is little danger around this green so shots played slightly long may be the best course of action. The first of the par 3?s, this monster plays across a valley to a large angled green. In windy conditions one of the most treacherous on the course. The green itself sits on a ridge with spectacular views of Long Island and the mainland in the background. Don?t be short and left on this one, as the ball will be gone forever. For a bail-out try hitting to the rocky outcrop to the right of the green and let the contours take the ball towards the putting surface. If you get your three here, be thankful and run to the next. The second of the par 3?s, this little gem is set amongst the trees and a little more sheltered, making it quite unique from rest of the holes on Dent Island. Played from elevated tees across a valley to an elevated green, the right club off the tee is required here. A deep bunker right protects the championship pin cut on the front right of this green, while a remnant boulder to the left of the green adds to the complexity and interest of the hole, and gives an indication of the site's origins. Hole 8 Par 4 Hoop Pine Pandanus Grass Tree 332m 300m 252m A relatively short par 4, the 8th offers the golfer another chance at birdie. The tee shot is played to a wide open fairway narrowing significantly at the 275m mark from the back tee. The best way to play the hole is hit a tee shot which gives the player a full wedge or nine iron into the green. The large green is slightly elevated from the approach shot and is quite deep making distance difficult to judge. A small swale left and a steeper one to the right are the only real hazards around this green. The longest par 4 on the front nine, this tee shot requires accuracy and distance off the tee if the green is to be reached in two. The best shot into the green is achieved from the ridge which lies some 260m from the back tee. From here only a short iron is required to the green, albeit over trees. A tee shot falling short of the ridge, will require a medium to long iron into the green across the lake and two greenside bunkers, making this a formidable shot. Perhaps a more prudent second shot is to lay up down the fairway leaving a short iron to the corner of the dog leg. From here only a short pitch of 75m is required to find the putting surface. A steep bank long and left of this green makes any shot hit long, almost impossible to find. Keep the ball dry, and find the middle of the green is the way to play this hole. The first of the par 5?s on the back nine, this hole plays along the ridge heading due south. A large bunker on the left of the fairway is located only 216m from the Hoop Pine tee and so shouldn?t be a concern for the bigger hitters?unless the wind is up. Like the sixth hole, care needs to be taken when playing the second shot, as two fairway bunkers await any misguided or badly judged shot. The first fairway bunker on the right lies 135m from the green while the second bunker in the middle of the fairway is located 50m from the centre of the green. Any shot finding these, will test even the most experienced golfer. The green is angled from the front left to the back right with two large deep bunkers protecting the green on the right. The short uphill twelfth will be a sleeper among the holes on Dent. Play for position is the key to this little hole as anything left will be blocked out by the trees and bunkers. The second shot is played over a valley to an elevated green protected by a large deep bunker on the left. Club selection will be difficult into the prevailing wind from the south, as short irons thrown up into the wind inevitably fall short of the green. One extra club for the approach is a prudent play on this hole. Playing longer than its length suggests, this tough par 4 only reveals itself upon reaching the southern summit of Dent Island. The tee shot is played uphill to a generous landing area, with shots played slightly to the left of centre rewarded with easier lines into the green. Possibly the most spectacular 360-degree view from of any of the holes, the second shot is played from the ?top of the world? downhill to a large two-tiered green with a large deep bunker front right of the green. If the wind is up, and it usually is, a low runner into the front of the green may be the best choice of shot here. Courage and instinct will be what?s required on this signature hole. Take particular notice of the breeze, as it will be more influential on club selection than just the distance. Played to an elevated target, with bunkers surrounding the green on three of the four sides, this shot needs to be perfect shot to find the putting surface. The bail out, if there is one, is to the left of the green where a relatively easy pitch and putt will follow. Anything short or right off the tee will need to be reloaded, as chances of playing from the trees will be nil. Take three and proudly go to the next. The real teeth of this course having begun at the twelfth, doesn?t let up here. This long downhill par 4 playing into the prevailing wind will reward those who can hit a low ball. Although a generous landing area, the tee shot is played from an elevated tee and falls some 20m.A bunker located 230m on the right-hand side of the fairway will be the last salvation for any ball catching the wind and heading west. Once the tee shot is negotiated, the second calls for a long accurate shot under the wind to a large green protected by two bunkers on the right. If a lay up is executed for the second, careful reading of the wind will be required for the shot into the green. A wind shadow exists over the green, which may cause balls to fly further than expected. A four here any time is a great effort. Turning for home with Hamilton Island to the right and clubhouse in the distance, there is no respite from the tough holes here. Despite the stunning scenery, this par 3 has been created out of nothing. With just a couple of majestic rock relics poking out of the surface to the right of the green, this hole has evolved as one of the most spectacular on the course. The elevated tee shot plays over a steep escarpment to a plateau green with a small pot bunker on the front right. Wind will play a pivotal role in the choice of club here, with only shots ending up on the green or short remaining in play. The penultimate hole has some of the more confronting landform on the course. Played from an elevated tee to an uphill fairway, the shot calls for as much length as the golfer can muster. The bunkers to the left of the fairway start at 260m and so shouldn?t worry the bigger hitters, but act as a perfect target for which to aim. From the top of the hill, the second shot is played down to the large green with only a short to medium iron. 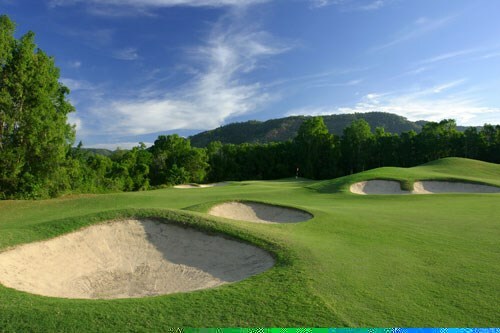 However, shots falling short of the ridge will require a long iron or fairway wood to reach the green, which uniquely sits in a hollow dell allowing for balls to be run on to the putting surface. Home at last, the back nine on Dent ends with a punch. 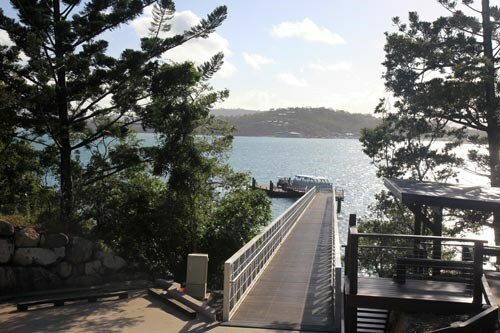 With the clubhouse in view, and Hamilton Island and Whitsunday Island behind, the tee shot here will fly forever. With an elevation drop of some 40m from the Hoop Pine tee to the landing area below, there is a lot that can happen in that time. Read the wind and hope for a long straight hit, as the ball will fly and run considerably on this downhill monster. The longest par 4 on the course, the two fairway bunkers at 230 and 250m are well within range and may be flown given the right wind conditions. From here a medium to long iron is required with care taken to avoid the bunkers short right and left of the large ceremonial green. A short walk to the clubhouse for a drink and the inevitable post mortems will close out a thrilling day. 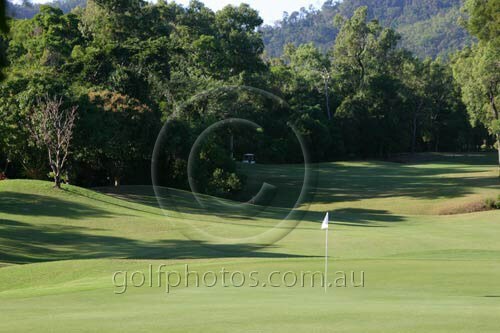 Mossman Golf Club is a public course three kilometres north of Mossman on the Daintree / Cape Tribulation Road. Offering a 5815 metre, 18 hole course suited to both the serious and the casual golfer it is the perfect spot to enjoy the game while relaxing in our unique tropics. 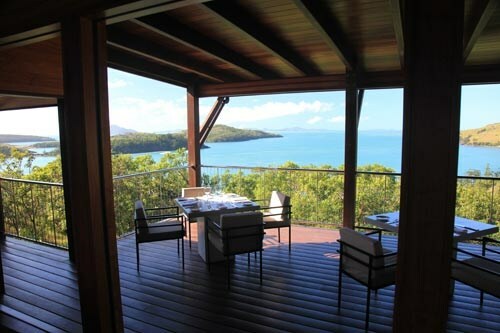 Located under the towering tropical jungle of the of the Wet Tropic mountains Mossman is just a scenic hour's drive north of Cairns in North Queensland in Australia. 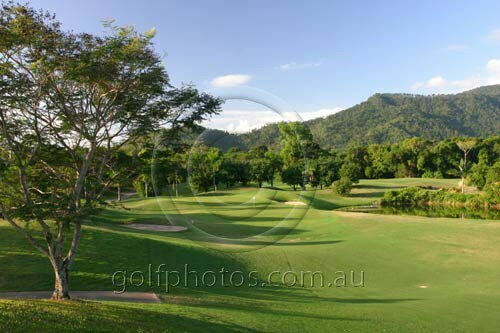 Mossman Golf Club is a public course three kilometres north of Mossman on the Daintree / Cape Tribulation Road. Visitors are most welcome on all days of the week. Offering a 5815 metre, 18 hole course suited to both the serious and the casual golfer it is the perfect spot to enjoy the game while relaxing in our unique tropics. 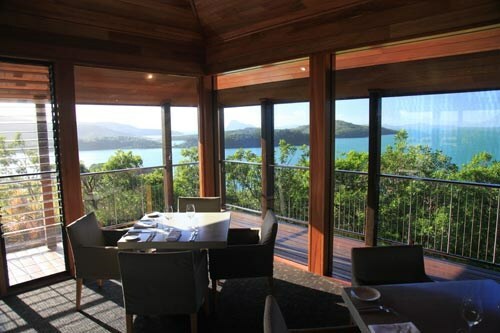 Located under the towering tropical jungle of the of the Wet Tropic mountains Mossman is just a scenic hour's drive north of Cairns in North Queensland in Australia. 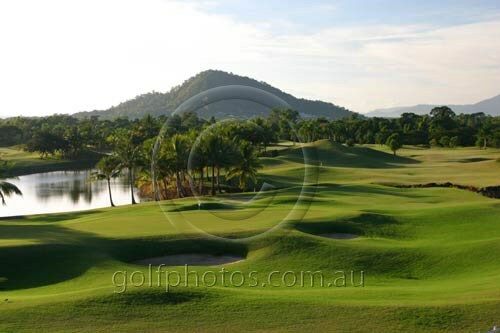 Tropics Golf Club in Townsville is located only 15 minutes from the city. 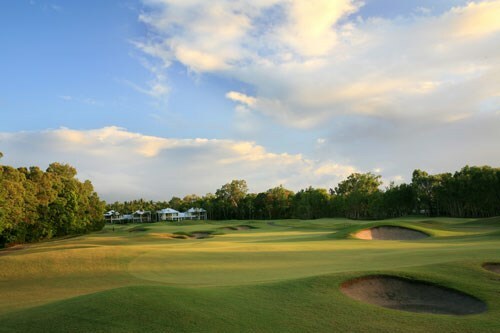 Tropics is an 18 Hole Championship Course and has hosted many exclusive PGA Events including the Queensland Masters (part of the former Von Nida Tour) and the Australian Legends Classic (part of the Australian Legends Tour). The course prides itself on its excellent presentation of fairways, rough, bunkers and greens. The abundance of wildlife and the chance to follow in the footsteps of the professionals help to ensure Tropics Golf Club is a memorable golf experience. 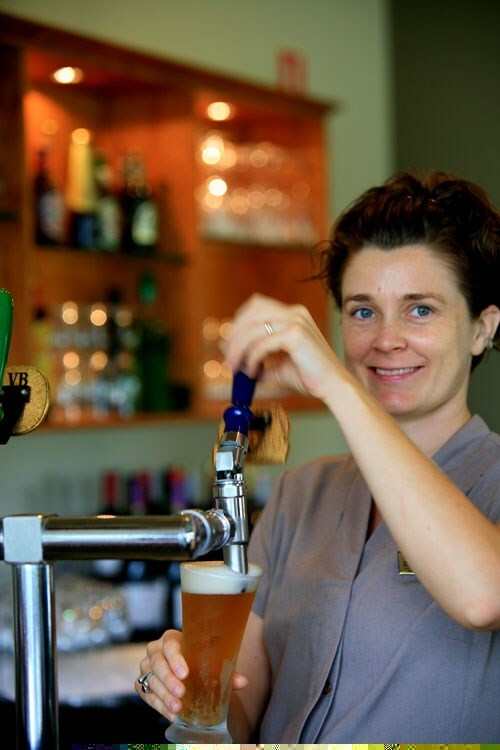 Furthermore reasonable prices, quality service and an interesting layout combine to make Tropics Golf Club a course worth experiencing if you find yourself in Townsville. 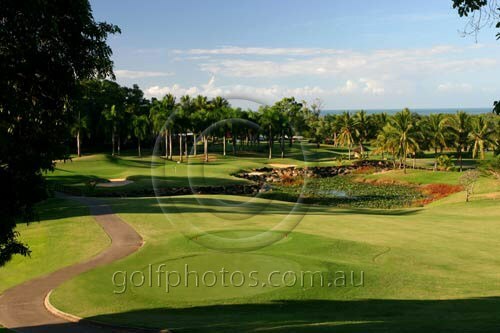 Tropics Golf Club in Townsville is located only 15 minutes from the city. 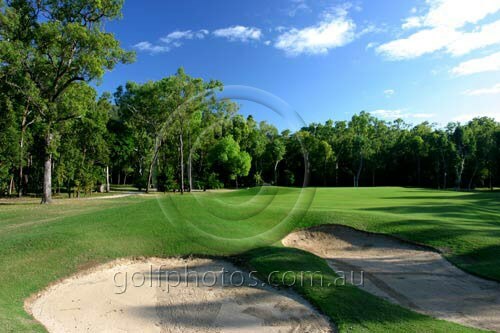 Tropics is an 18 Hole Championship Course and has hosted many exclusive PGA Events including the Queensland Masters (part of the former Von Nida Tour) and the Australian Legends Classic (part of the Australian Legends Tour). The course prides itself on its excellent presentation of fairways, rough, bunkers and greens. The abundance of wildlife and the chance to follow in the footsteps of the professionals help to ensure Tropics Golf Club is a memorable golf experience. Furthermore reasonable prices, quality service and an interesting layout combine to make Tropics Golf Club a course worth experiencing if you find yourself in Townsville. 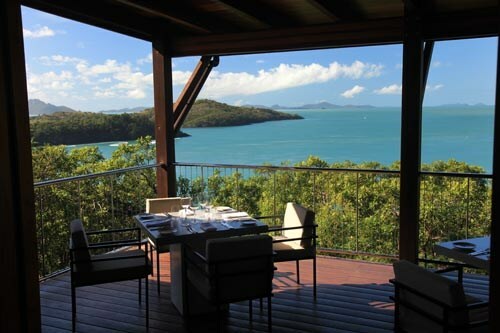 Tropical North Queensland is truly one of Australia's most amazing golfing and holiday regions. 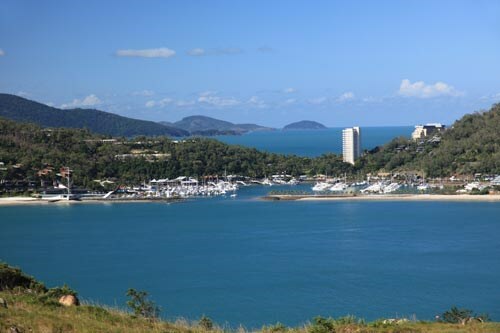 Cairns is the heart of the Tropical North and is an ideal base for combining golf, as well as having front door access to the magnificent World Heritage listed Great Barrier Reef, Rainforest and Outback. There is a vast array of wonderful golf courses in the area and, needless to say, they are all tropically landscaped in accordance to the environment in which they are located. 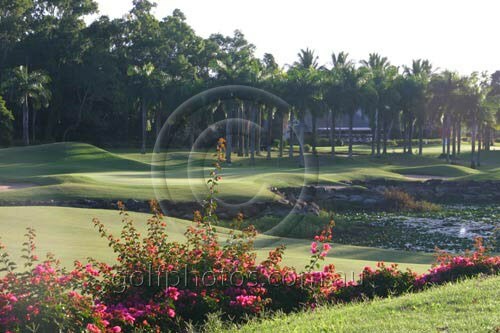 The tropical conditions means the playing surfaces are always lush and green. The greens in this region are also considered to be among the most beautiful in the world. 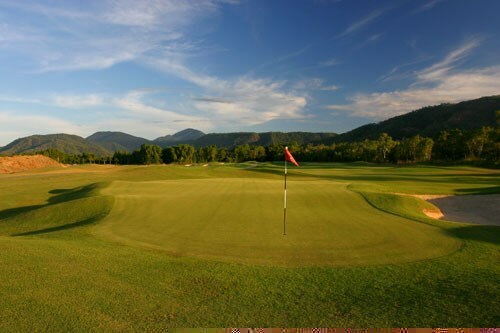 A true jewel of Cairns and Tropical North Queensland awaits at Paradise Palms Golf Course . Paradise Palms is continually ranked among Australia's best and most challenging courses since opening in 1990. From the moment you stand on the first tee a panorama of golfing perfection unfolds. 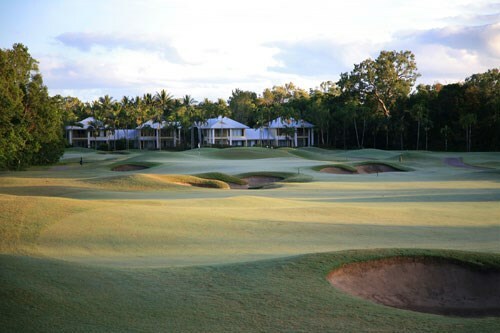 Sweeping fairways wedged between World Heritage tropical rainforest and the Coral Sea, jealously guarded by 91 bunkers and 6 lakes the experience is total. 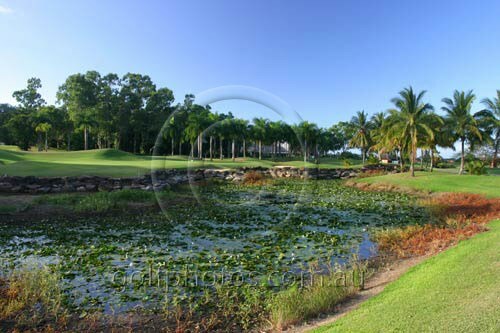 Set on the site of a former sugar cane plantation, the 64 hectare course was further enhanced by the planting of over 14,000 trees including Royal Palms, Mango, Lychee, Poinciana, Poinsettia, Frangipani, Sapoti and more. 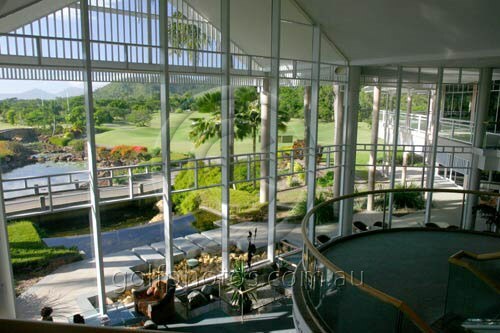 Cairns Golf Club, located south of Cairns , was redesigned by Ross Watson in 1992. This golf course is a par 72-championship course. One of the standout holes is the par three 11th. This hole presents golfers with a 151m carry over a large lake to a green backdropped by our course's signature pandanus palms. Like all of the courses in the region, palm trees and other tropical plants line the greens, making the scenery beautiful. 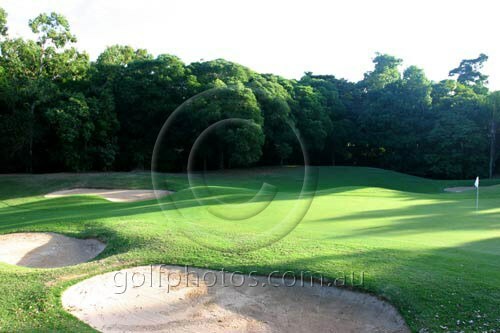 Half Moon Bay Golf Club is located at Yorkeys Knob on the northern beaches of Cairns, which is 20 minutes north of Cairns CBD, 15 minutes north of Cairns international and domestic airports, and 15 minutes south of Palm Cove. 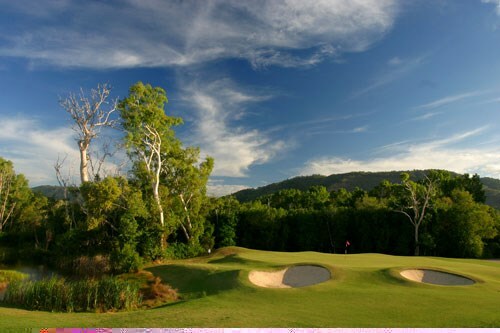 A tight par 70 all-weather-course overlooking the Coral Sea, Half Moon Bay Golf Club features sweeping views looking west to the rainforest clad mountain ranges behind Cairns. The course features undulating fairways, beautiful greens and a myriad of birdlife can be seen throughout your golfing experience. 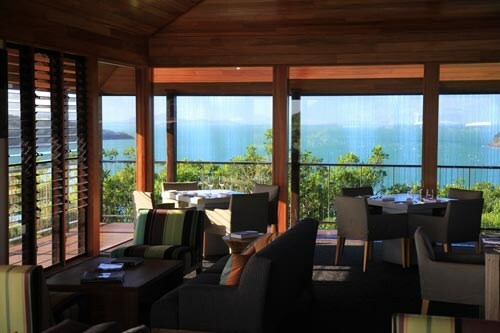 Just an hour north of Cairns, in Port Douglas, lies the World class Sheraton Mirage Golf Course (Mirage Country Club) . 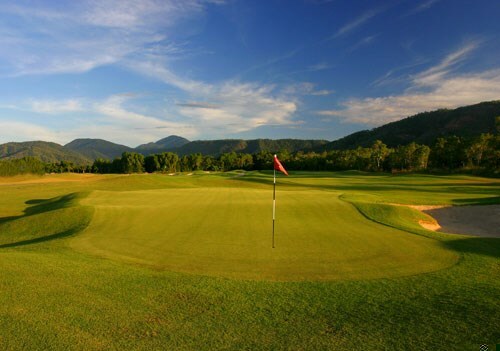 It is one of the premier courses in Port Douglas, and has been host to famous golfers such as Greg Norman, Jack Nicklaus, and ex-US president Bill Clinton. Rated as one of the world's best resort courses, the 18 hole international standard championship golf course was designed by renowned golf architect Peter Thomson, and contains two quite different 9's with the bordering Coral Sea and the panoramic mountain backdrop providing the only distractions to a memorable round. 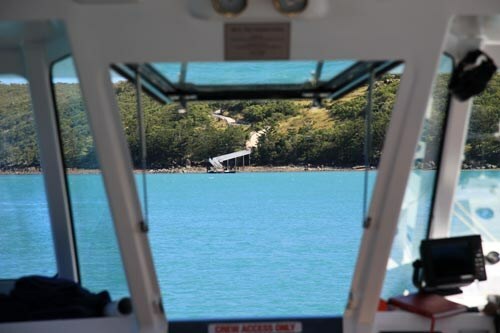 The other "must play" golf in Port Douglas, is the Palmer Sea Reef . Situated at Peppers Links Resort, the golf course was crafted by the internationally acclaimed Thomson, Wolveridge & Perrett. This championship "links" course provides a special challenge for golfers of all levels. A central rainforest wetland, rich undulating fairways and spectacular mountain views combine to offer a golfing experience like no other. 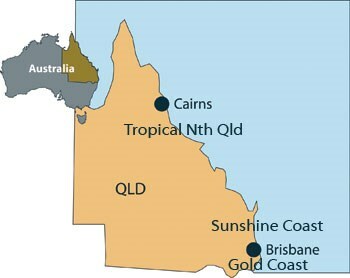 Below are some useful facts and figures for the Tropical North Queensland Region. Use these to work out the best time to visit this region.